WHAT: The 2nd Annual Putnam County Master Gardener Plant Sale is right around the corner. 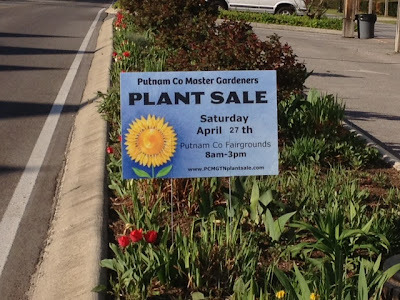 WHEN: Saturday, April 27th between 8am and 3pm we will be selling our Master Gardener home grown and approved quality plants at fair prices to our community. Come early for the best selection! WHY: We raise most of these plants ourselves, from seed. We grow strong, healthy plants. Plant varieties are chosen by expert local gardeners to match our location. Mass growers supplying the large chain stores just can’t do that. That let’s us feature more heirloom and hard-to-find selections. (We will also have several tried-and-true standards for gardeners who prefer them.) Our prices are very competitive. We get a modest return for our plant-growing efforts, you get great deals. The money you spend supports worthy projects.